We’ve all read various ‘best practices’ posts about this framework and that framework from expert developers in the community. They’ll cover topics regarding how to make your application more maintainable and how to drive down the risk of maintenance in your applications. A common design recommendation is to structure your applications so that you compose the objects you are working on. The MVC framework is a good example that demonstrates this technique. You compose controller objects in MVC using constructor dependency injection so that the other facilities that our controllers need like loggers and database access are managed in other classes. What do we do if we’re working on an ASP.NET Web Forms application? The Page object doesn’t allow you to use constructor injection, so how do we work around this limitation? In this series of posts, we’re going to look at how to modernize the development of your ASP.NET Web Forms application using existing features in innovative ways. Along the way, we will also learn how to reduce risk while maintaining our long standing applications. For those unfamiliar with the concept, dependency injection is a class design strategy that relocates logic from one class to another. The second class is then injected into the first through either a property or a constructor argument. As an example, we can move all database management logic to a repository class or all log management tasks to a logger class. Our application code can be structured so that it focuses more on the application logic and only pulling in these concerns when needed. An inversion of control container can be configured to automatically create the CustomerController and pass in an appropriate class that implements the ICustomerRepository interface. For this article, we’re going to work with Autofac and add its capabilities to a Web Forms application. ASP.NET Web Forms has a long history of managing code in a collection of code-behind files named something like “EditCustomer.aspx.cs” that contain a partial class. This is the editable part of the class, as there is also a “EditCustomer.designer.aspx.cs” class that contains some generated code for the framework to use in managing the user-interface. If we would like to add dependencies to a page, say a reference to a CustomerRepository, we would typically create the CustomerRepository in the constructor of the EditCustomer class and then use it appropriately later in the class. This leads to some code management problems as we are then creating all of the dependent objects that we need to build and service our pages in the constructor of every page. Out of the box, you can’t add parameters to any of your code-behind file’s constructors. Not only that, but you have no way to plug in a container to set property values either. There is a way around this, and it involves using an HttpModule. An HttpModule is a class that can intercept events in the ASP.NET pipeline and interact with the input, output, and other processes managing the pipeline. In this case, we’re going to write a simple HttpModule to inspect a Page object and inject required properties or constructor arguments as needed. Inside the event handler for the PreRequestHandlerExecute, you can inspect the page (if in fact we have captured events for a Page object) and inject any dependencies. The trick with inspecting the page object that was passed at this point of executing lies in the type of the Page that was passed. At runtime, ASP.NET merges our code-behind with the code it generates for the ASPX markup. This merged class resides in a subfolder of the Temporary ASP.NET Files folder and inherits from the class defined in our code-behind. To gain access to that code-behind class implementation, we need to grab the BaseType in order to access any constructor that may have input parameters that require injection. With some additional reflection work inside of our event handler method, we can inject arguments for the constructor method and execute that constructor. This is a little strange, as we’re used to executing constructor methods when calling “new FooClass()”. In this case, the class is already instantiated and we are triggering the constructor method after the fact. To set up a page to be injected, we can add public properties of types that Autofac knows how to handle or we can create a public constructor method that accepts arguments. 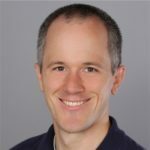 If we use the constructor injection technique, we need to ensure that a protected argument-less constructor method is available for the framework to use when it creates the Page object. We’ve taught an old dog a new trick. This is sample code only, and may not be optimized for the best performance for your application in production. Some of the containers, like Autofac, have their own modules available for you to use if you want to employ this technique with your application. Is this something that you find valuable? Should we make investments in this type of “modernization” of the web forms templates and architecture? Let us know in the comments below. Thanks to MVP and Regional Director Miguel Castro for helping with the content of this article.